Wasteland is the latest release from the UK’s Uncle Acid & The Deadbeats. Kevin Starrs, aka Uncle Acid, fills us in on some lineup shifts, the new record, touring, social media and other subjects. Chad Bowar: How did your newest member, drummer Jon Rice, come to join the band? 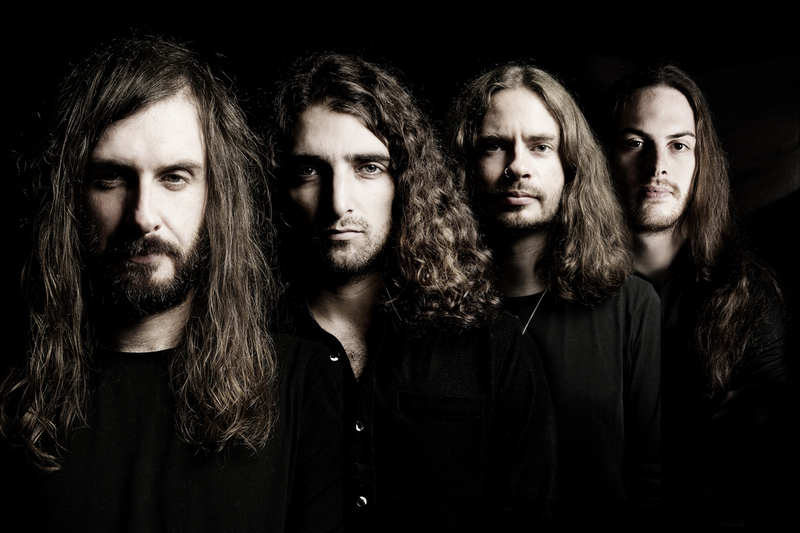 Uncle Acid: We needed a drummer and he was the first person I could think of. We’d toured with him a while back and I knew he was a great guy and a great player so it made sense. What led to the live lineup shift of Vaughn Stokes to rhythm guitar? It’s like a football manager changing tactics mid game, moving players around, trying a different way to push forward. There was a little more time between The Night Creeper and Wasteland than previous records. Was that due to the amount of touring you did to support TNC? Partly, but also I remixed Vol 1. last year which took up a lot of my time, plus changing the lineup and getting everything settled in, and then writing. It all takes time. What will be your strongest memory of the recording of Wasteland? I met Neil Young after the first recording session and we talked about mixing desks. I think that overpowers everything! How has the band’s sound evolved from The Night Creeper? More urgency, more raw fuzz, maybe. To me it’s just a natural evolution that I don’t really think about. Nightmares and thoughts of dystopian wastelands. Once you have a setting in your head it becomes pretty easy to fill in the blanks. I never have any expectations for our music. I’m sure we’ll probably lose a few fans, but gain a few more too. That’s how it always goes. You can’t please everyone, but as long as I’ve written something that I’m happy with, it can go whatever way it wants. Hopefully some people will get enjoyment out of it, though! I’ll read them out of interest, especially if it’s from a journalist I respect, but it doesn’t affect the songwriting or anything like that. As long critique comes from an honest place then I’m not bothered! You have some European dates coming up this year and early next. Any plans for a North American tour for this album? Yes, we’ll be there next year! You’ll be in for a treat. What’s the band’s level of awareness/popularity in North America compared to the UK and Europe in general? We maybe have a bigger fan base in North America compared to Europe, but we’re always looking to convert more people everywhere. In the grand scheme of things we’re still very much unknown to most mainstream rock fans. We’re in that weird place between the underground and the main road. I think its known as the gutter. You’ve now played in a lot of different countries. What’s number one on your list of places you haven’t yet played? Japan would be number one. We’ll hopefully get there in support of this album. We’ve also never been to South America so we’d love to play there as well. In a world of social media, you’ve managed to maintain some mystique. Have you felt any outside pressure to engage more on those platforms? No, it’s just not my thing. I do what I can to promote our music and our shows, but I’m not into the idea of social networking or engaging too much with computers. What was the response to last year’s reissue of Vol. 1? It was good. It was unavailable to buy and a lot of people wanted the album, so it was the perfect time to work on it and get it out there. I think it came out great. I saw The Greasy Strangler recently and thought it was brilliant. What are some of your other non-musical interests/hobbies?